To set up an appointment, please contact Kris Anderson at kanderson@fenwaycdc.org or 617-267-4637 x 29. 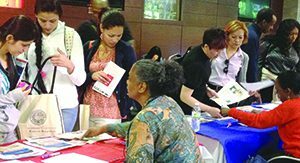 Fenway CDC and Roxbury Community College are organizing a Career Fair to help job seekers look for employment opportunities, education advancement programs, and resources to improve their quality of life. 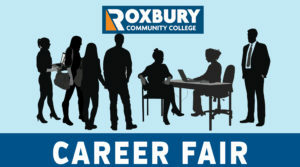 Our Career and Resource Fair will be held on Thursday, April 25, 2019, from 12:30pm to 2:30pm, at Reggie Lewis Track & Athletic Center, 1350 Tremont St., Roxbury Crossing, MA 02120. To attend this free event, sign up at this link. Download poster. For inquiries, please contact Emily Kribbs at ekribbs@fenwaycdc.org or (617) 267-4637 x 13. 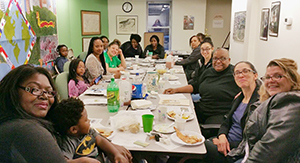 The Fenway Family Coalition (FFC) is a way for residents to be engaged in Fenway CDC programming, voice their concerns in a supportive and open environment, and build relationships with other members of the community. The group meets every two months and is open to all parents and children from the neighborhood. Every year, FFC organizes meaningful and fun events such as Mother’s Day Brunch, Halloween Party, and educational life skills workshops for parents and their children. FFC and Fenway CDC also collaborate with Operation P.E.A.C.E. to organize family-oriented activities to improve their quality of life. To sign up for FFC e-news, please contact Kris Anderson at kanderson@fenwaycdc.org or 617 267 4637 x 29. Fenway CDC has partnered with Holy Trinity Orthodox Cathedral to bring the Fair Foods “$2 per Bag Program” to the Fenway. 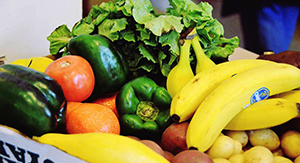 Through Fair Foods distribution events, individuals and families can purchase 10 to 15 lbs. of fruits and vegetables for only $2 dollars per bag regardless of their income level. The program runs from 3-5 pm on every other Wednesdays at Holy Trinity Orthodox Cathedral, located at 165 Park Drive, Boston, MA 02215. Please check our calendar of events to find the next distribution date. To register as a volunteer, please contact Helen Murphy at hmurphy@fenwaycdc.org or 617-267-4637 x 21.